We have a deep sentimental attachment to the restaurant space at 499 9th Street that housed B Restaurant for many years. B was one of the very first places we enjoyed fresh and delicious California food. The room was inviting, the food delicious, and the staff were thoughtful and fun. Chef Donato Scotti’s Desco continues those traits while bringing regional Italian cuisine to the corner of Jefferson and 9th Streets. Old Oakland is a great place for food and Desco will be right at home in the historic neighborhood with neighbors like District, Ratto’s, Cosecha, Miss Ollie’s, Tamarindo, The Trappist, La Boriqueña and Rosamunde Sausage Grill. Desco is beautiful inside and out. Two walls of floor-to-ceiling windows flood the room with light during the day and offer views of Old Oakland nightlife in the evening. It’s heartwarming to see that Desco is maintaining the light-filled airy atmosphere with the smart addition of banquettes on one wall. The room has interesting touches like artist-made light fixtures and a beautiful copper bar, all creating a welcoming, relaxed look. The antipasti menu includes a few each of cold and warm selections. 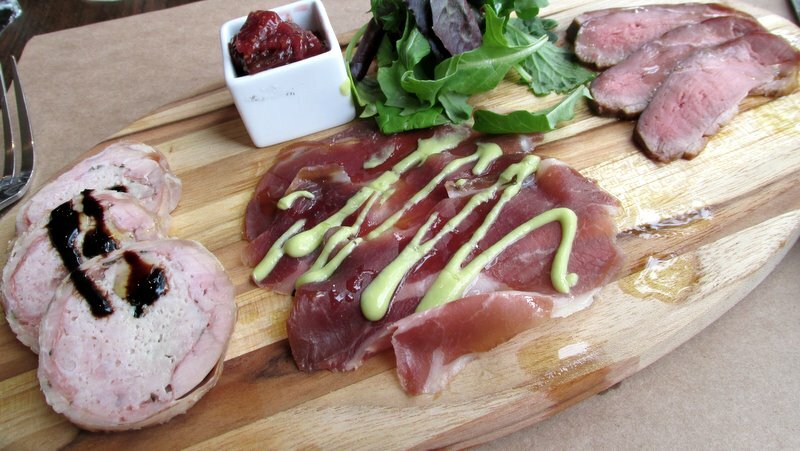 We started with the Piatto Della Casa, thin slices of smoked duck, rabbit terrine, and lamb prosciutto. The flavors were built beautifully across the board. The strong smoky flavor of the duck, the balanced saltiness of the lamb prosciutto, and the mellowness of the terrine were accompanied by a touch of fig preserves and a reduced balsamic vinegar. I probably could have eaten another round or three of the lamb prosciutto, which was delightful on Desco’s freshly-made ciabatta. On the warm side of the antipasti menu, we had the baccala. 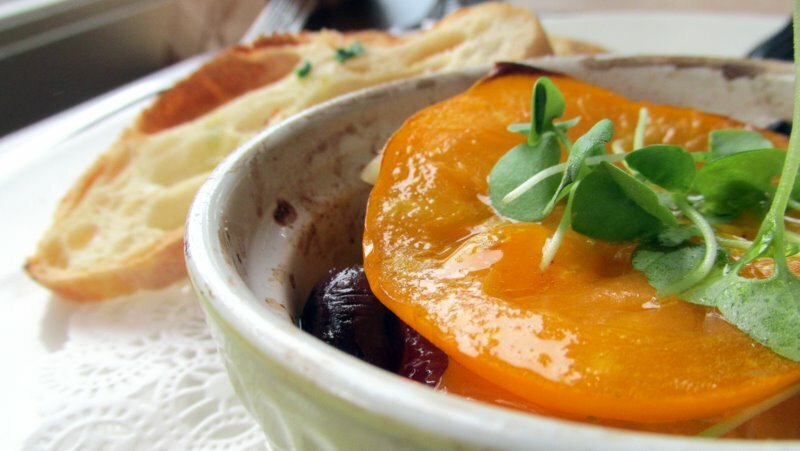 A hot ramekin arrived straight out of the wood oven, filled with layers of salt cod, kalamata olives, and vibrant red and yellow heirloom tomatoes. Also served with the house-made ciabatta, this is a warm, hearty take on the dish. Casonsei is a dish from Chef Scotti’s hometown of Bergamo in the Lombardy region of Northern Italy. I suspect, like other parts of the menu, Casonsei might be new to some readers. At Desco, the dish is a tender ravioli filled with pork and amaretti crumbs that is cooked in brown butter with a very crisp, thick guanciale (cured pork cheek). The kitchen has a deft hand with texture. 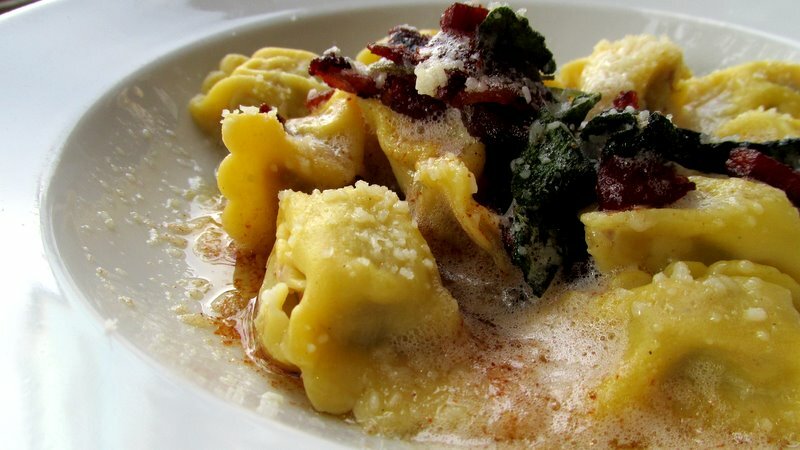 The ravioli has a wonderful bite and chewiness and the play of salty and sweet in the dish is memorably good. Additional pasta offerings included a robiola (cheese) ravioli, a lamb sugo pappardelle, and a chittarine (squared spaghetti) pasta with olives and calamari. We’ve enjoyed many pizzas in the space that is now Desco with family, friends, co-workers, and even strangers. Desco’s pizza crust is an absolute winner. It arrived with just the right amount of blister (“I came from the wood oven, but I wasn’t living there too long.”) and an even better chew. 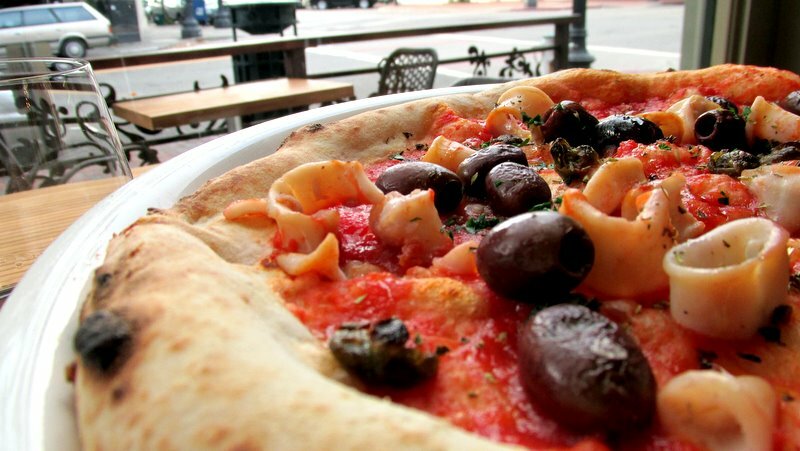 Our version came lightly sauced with kalamata olives, calamari, capers, and garlic. The sauce was slightly sweet and a bit quiet, but that made some room for the briny capers and olives. Additional offerings include a margherita, one with house made salsiccia, and a mushroom herb pizza with tomatoes and fontina. We admittedly had to ask about the “schiacciata” that came in three varieties on the night we dined. Our very knowledgeable server explained that schiacciata is a stretched Tuscan flatbread often served with various items inside (olives, grapes, cheese, onions). We’ll be back to try the tomato and crescenza, mozzarella and pesto, or the most intriguing, the smoked prosciutto, sweet onion, and gorgonzola. There were other parts of the menu that were new to me. Most dishes are well explained, but we were happy to have a little help from the staff. We both watch our sugar. We can go weeks without indulging, and only sometimes miss having sugary treats. But Desco has desserts worth a look. 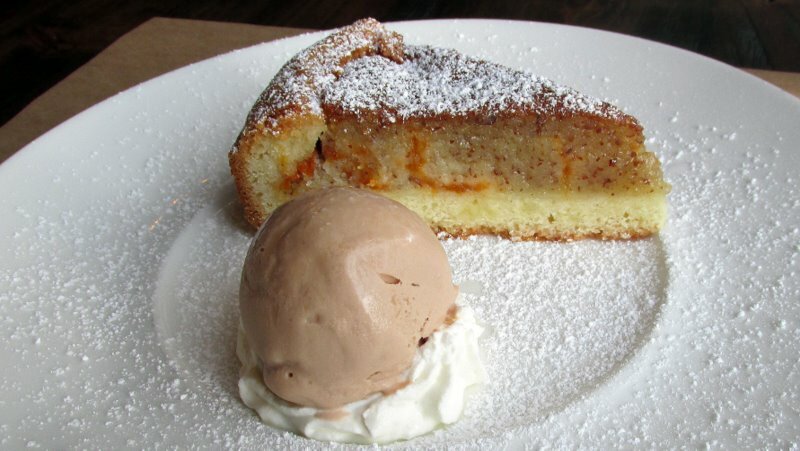 We split the almond apricot cake, which was a true standout dessert, one of our favorite menu items so far. The apricot is folded into an almond meal mixture to create a moist center surrounded by a crumbly vanilla cake. It was served with a surprisingly light scoop of hazelnut ice cream. We both loved the pairing of the two different nut flavors and, again, the expert attention to the role texture can play in creating a memorable dish. The chocolate cake was solid. 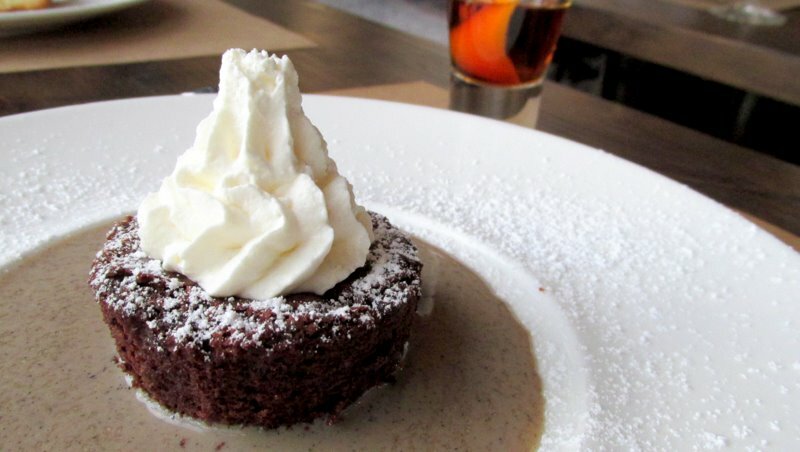 The surprising espresso sauce has such a light touch it seemed perfectly aimed for those who like a little coffee taste but don’t want triple espresso poured over their dessert. Where we expected something along the lines of a dark chocolate ganache, we got a something along the lines of an espresso creme anglaise. We didn’t have room to try many dishes that sounded interesting on Desco’s menu, including any of the three entrees, which included a roasted chicken in a white wine reduction, an Angus loin, and crustaceans and tomatoes cooked in a pouch (cartoccio). Though we were media guests of the restaurant, a minor communication glitch meant the staff working that day didn’t know until the end of the meal. The warm, friendly service throughout the meal and visit from the chef was clearly part of the experience of neighboring tables as well. The bar team was especially engaging as we selected an amaro to enjoy with dessert, and though a good number of servers were training, the floor was never crowded. 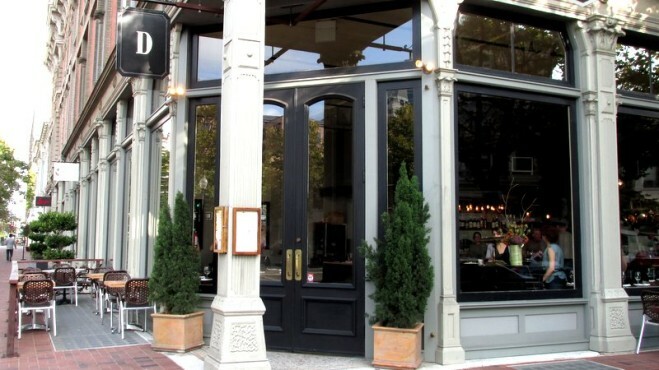 Desco is a welcome addition to the beautiful neighborhood of Old Oakland. Its emphasis on regional Italian food may be new to many, like us, but with knowledgeable servers and an inviting atmosphere, navigating a delicious meal should be simple. We’re looking forward to a return visit.